Mediaset has agreed the sale of 100% of R2, the company that controls the technical platform for its pay TV service Mediaset Premium, to Sky. The sale of the platform allows Mediaset to retain control of its premium channel offering, and Mediaset will also continue to manage Mediaset Premium’s customer base. The sale of the platform follows the wide-ranging deal between Mediaset and Sky in April that saw Sky make Mediaset Premium channels available to its satellite customers, along with a raft of on-demand content. The agreement also saw the pair collaborate closely in digital-terrestrial transmission, with the creation of a combined DTT offering. 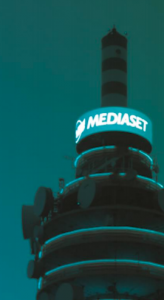 The deal also included an option for Mediaset to sell its pay TV platform to Mediaset, something analysts expected it to go ahead with following its failure to secure premium Serie A football rights, and focus on the supply of premium channels only. Speaking to Italian press at the launch of the new season of Mediaset’s Rete4 channel in September, CEO Pier Silvio Berlusconi confirmed that it was likely that Mediaset would go ahead and exercise its option to sell the platform to Sky. Berlusconi has also said that the media group is working towards a broader pan-European alliance or combination. The deal is subject to approval by regulators AGCM and AGCOM.